The Rotary Club Gazebo is one of Fort McMurray’s most popular lookout points and acts as a central meeting spot for outdoor enthusiasts and residents. The Gazebo was built in 2005 as part of the global celebration of the Rotary International Centennial Project. The local Rotary Club of Fort McMurray had the Gazebo built for residents to enjoy the scenic view that overlooks the Athabasca River. From 2011 to 2015, the Gazebo was the traditional starting point for the Fort McMurray SPCA’s Annual Walk to Stop Animal Abuse, which has since relocated its event to the Syne Point Park. This walk brought hundreds of Fort McMurray pet owners together to raise awareness and pledges to stop animal abuse and neglect. 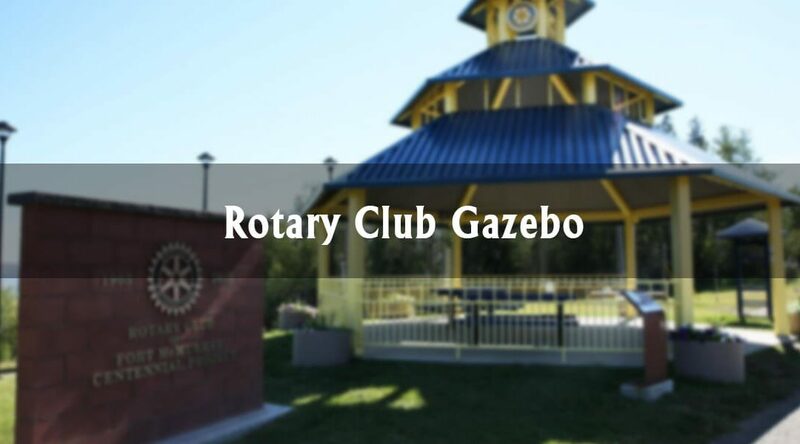 The Gazebo continues to be the central point for community groups like the YMM Free Fit and other running clubs, as well as local photography enthusiasts. And today, hundreds of runners from the Fort McMurray Marathon will see the Gazebo in their distance as they take on the 42.2 kilometre run along the Birchwood Trails and back to MacDonald Island Park. Go Fit Life also used the Gazebo as their base camp for events, including the Summer Boot Camp Party, which is a series of outdoor boot camps hosted around the Thicket Drive area. Another resident reviewed the Gazebo calling it a Fort McMurray landmark for outdoor meetings. 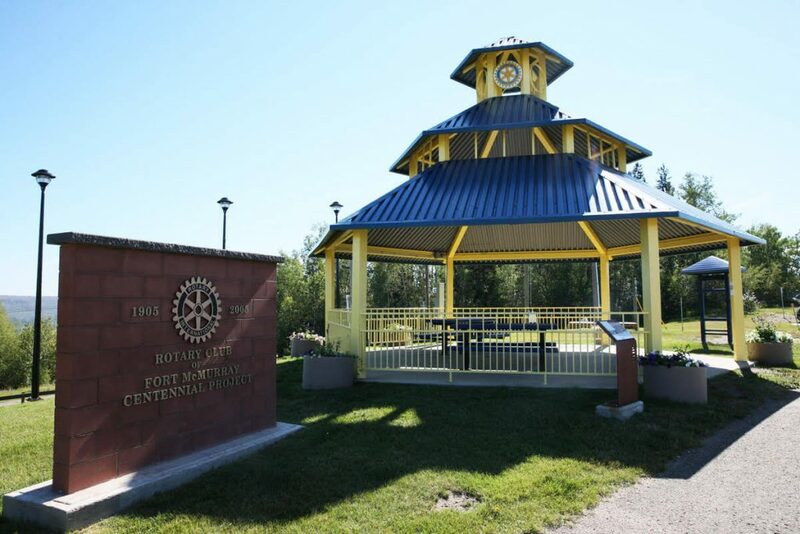 Whether residents are looking to have a picnic or workout by utilizing the surrounding trails and hillsides, the Rotary Club Gazebo is a great place to rest and play, while getting a birds-eye-view of Fort McMurray.